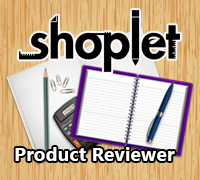 *Disclaimer* I received the mentioned items free or at a discounted price in exchange for my review. All opinions are my own. The possibilities are absolutely endless when it comes to coffee mugs! 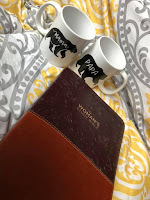 This mug set would be great for cuddling up on the sofa, sipping hot coco & doing your daily devotional with your love. 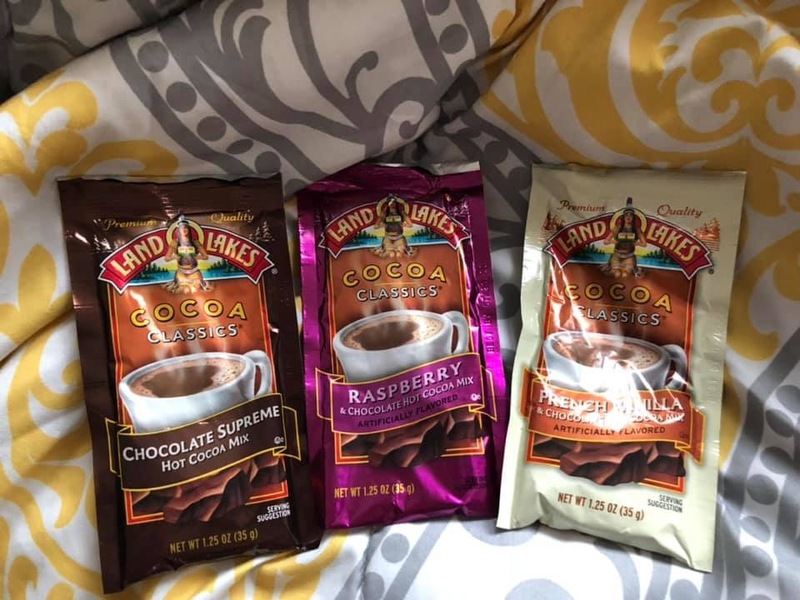 For this super sweet set of mugs, I decided to add 3 packets of hot coco to each mug & wrap them up to gift to some super sweet friends. Tada! This is what the finished gift set looks like! It would also be nice if you added peppermints, marshmallows, or even a gift card to each mug. Product Details:- 2 Hearts are better than 1: This gift set of two mugs is ideal for the couple who likes to drink their favorite beverage together. High-quality, long-lasting ceramic mugs with a design that won’t fade or wear off for years to come make an excellent gift. Gift the favorite couple in your life with this set of matched mugs for two people who never have their morning coffee or tea unless their together, or share their favorite beer, wine, or tequila in the afternoon. - Lasting Quality: High-quality, smooth ceramic stoneware resists scratches and lasts a long time. The custom imprint is permanent and won’t lose its luster or fade. 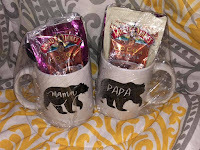 Your stoneware ceramic mug can be used with either hand since the Mama Bear, Papa Bear design is printed on two sides. Good for Any Occasion; with an 11-ounce capacity, these mugs hold plenty of liquid and make great gifts for all of your special occasions: anniversaries, bachelor and bachelorette parties, and birthdays. - Safe for the Microwave and Dishwasher: Use your mug again and again in the microwave. Wash it in the dishwasher after every use and still never worry about the design fading away or peeling over time. Cold and hot temperatures will not affect the high quality of your ceramic stoneware mug, so you’ll feel confident to use it every day. Great bride and groom gifts, Christmas, honeymoon, thinking-of-you gifts for long-distance relationships, Valentine’s Day, wedding engagements, you name it. 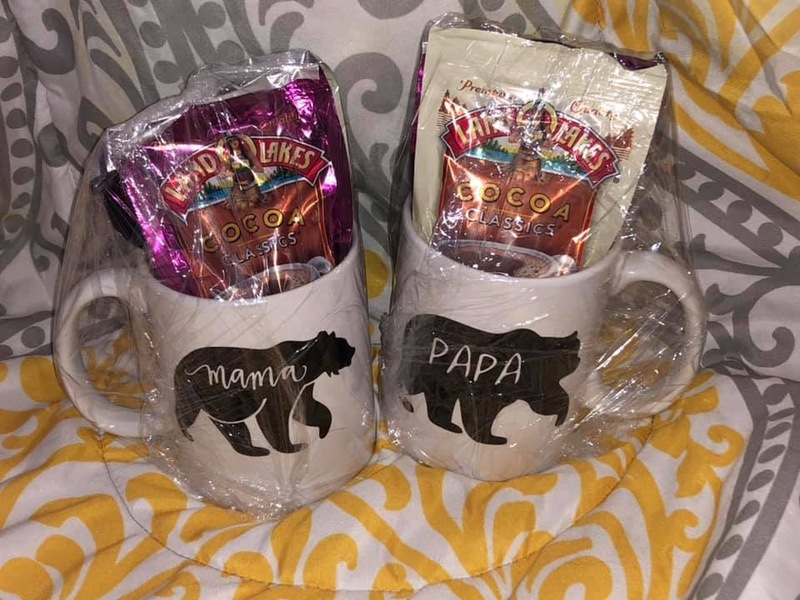 - Fun Way to Break the Ice: Your new ceramic coffee cup displays Mama Bear, Papa Bear on both sides so you can both laugh over your coffee or tea in the morning. The double-sided design makes an ideal gift for a new bride and groom or a wonderful housewarming present. Surprise your spouse with this cute, thoughtful gift for your anniversary or any time you want to show you care. - Carefully Packed, Satisfaction Is guaranteed: 100% customer satisfaction is our goal. To make sure each ceramic mug arrives at its new home safe and sound. Our durable new packaging delivers the high-quality mugs to you reliably.